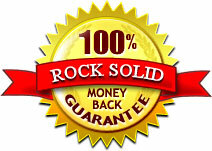 You're Covered With A Zero-Risk 100% Money-Back Guarantee... For 8 Weeks! ClickBank is a registered trademark of Keynetics Inc., a Delaware corporation. KillerContent.com is not affiliated with Keynetics Inc. in any way, nor does Keynetics Inc. sponsor or approve any KillerContent.com product. Keynetics Inc. expresses no opinion as to the correctness of any of the statements made by KillerContent.com in the materials on this Web page.